Maruti Dzire Launched @ 5.45 lacs. Specs, Features, Images & More. 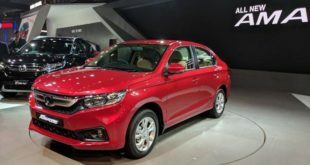 Home / Car News / Maruti Dzire Launched @ 5.45 lacs. Specs, Features, Images & More. We have already written about the 2017 Maruti Suzuki Swift in detail. It was always for sure that the next generation Swift will give birth to the all-new Dzire. However, the new Dzire came to us much before the 2017 Swift made it to India. 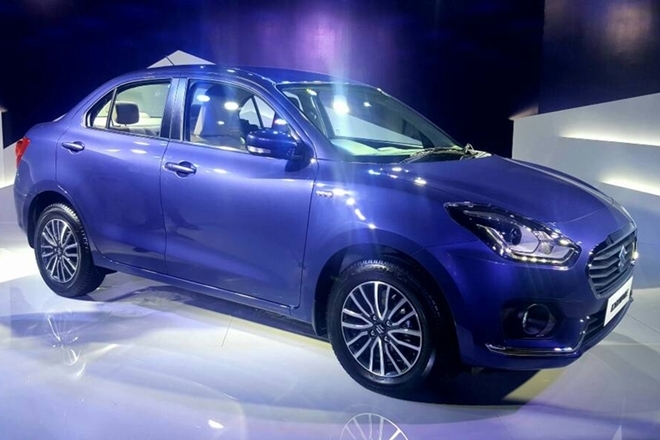 The all-new Maruti Dzire was unveiled on April 24. The new Maruti Dzire 2017 launch took place at an official event in New Delhi on the 16th of May. Bookings for the new Dzire 2017 were already underway for a sum of Rs 11,000. 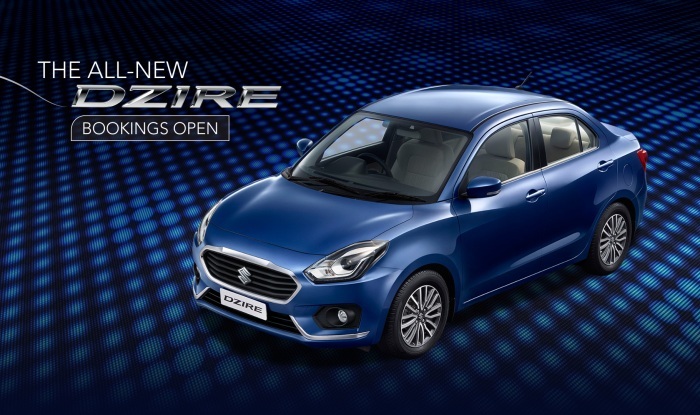 The prices of the new Dzire start at Rs. 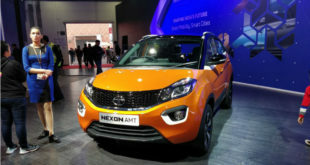 5.45 lakh (ex-showroom Delhi) for the base petrol variant. We will write a detailed test drive review of the new Dzire should in a few days. 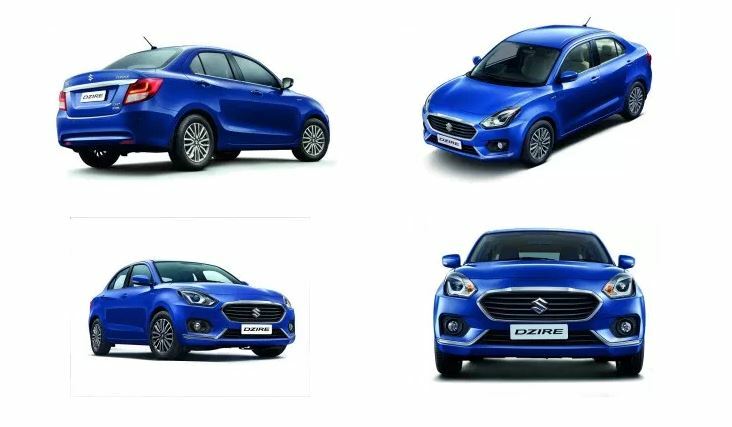 In the meanwhile, you can read on to know all available details of the Maruti Dzire 2017 price, specs, features, dimensions, mileage and more. Right since its launch the Dzire nameplate has been a very popular one for Maruti. 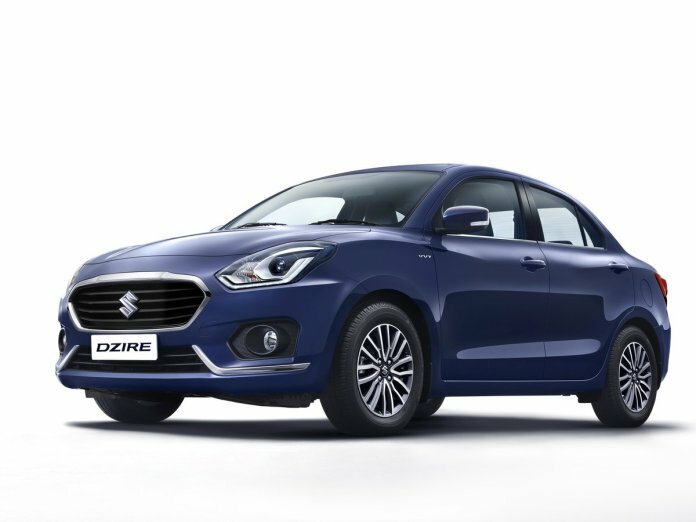 Now in its third generation, the Dzire ditches the ‘Swift’ moniker and is now officially called the Maruti Dzire. 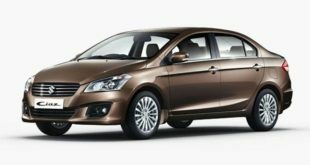 The prices of the Dzire start at Rs. 5.45 lakh. Whereas the top of the line Diesel automatic variant is priced at Rs. 9.41 lakh (ex-showroom Delhi). The top end variant is quite expensive due to the addition of new features. Bookings for the new Maruti Dzire 2017 have already started at your nearest Maruti Suzuki dealership. The booking amount for the Dzire is Rs 11,000, which is refundable in case of cancellation. 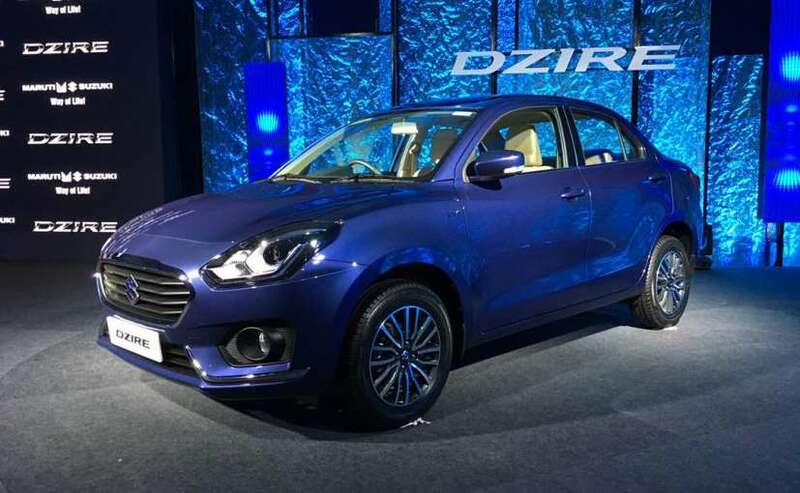 Test drives of the new Dzire would likely start very soon. For test drive details, we request you to contact your local authorized dealer. The 2017 Dzire continues to be powered by the same 1.2-litre petrol and 1.3-litre diesel units that powered the outgoing model. 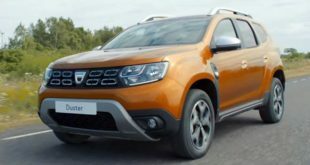 Both, the petrol and diesel variants now come with an optional 5-speed AMT. The manual transmission variants continue using a 5-speed gearbox. Due to its lighter platform the 2017 Maruti Dzire is now more fuel efficient. In fact, now the Dzire diesel is the most fuel efficient car in the country. Thanks to ARAI figures of 28.4 KMPL. Like the old Dzire, the new model is also similar to the Swift hatchback when it comes to the design. Now despite the 4-meter restrictions, the designers have very well managed to get the proportions right. 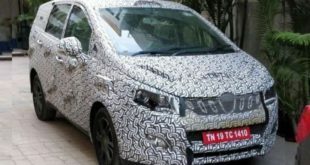 The boot now seems to gel much better with the overall design and the upcoming Dzire looks much more proportionate in comparison to the current model. 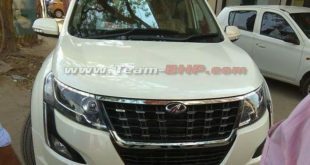 The nose of the new Dzire is not similar to that of the 2017 model Swift. It features a different grille design and bumper. Maruti has incorporated great features such as LED projector headlamps and LED daytime running lights into the Dzire. It also has a set of new LED tail lamps. Unlike the new generation Swift, the Dzire features a less upright A-pillar which ensures a profile which is better suited to sedans. The nose now gets heavy chrome around the bumpers and grille. Overall, it can be said that the exterior design is more aggressive, which by compact sedan standards looks stunning. The interiors of the new generation Dzire are not identical to the 2017 Suzuki Swift’s interiors. The Dzire gets a new dashboard. Also, while the Swift is expected to come with interiors draped in all black, the Dzire has a black-beige color scheme. 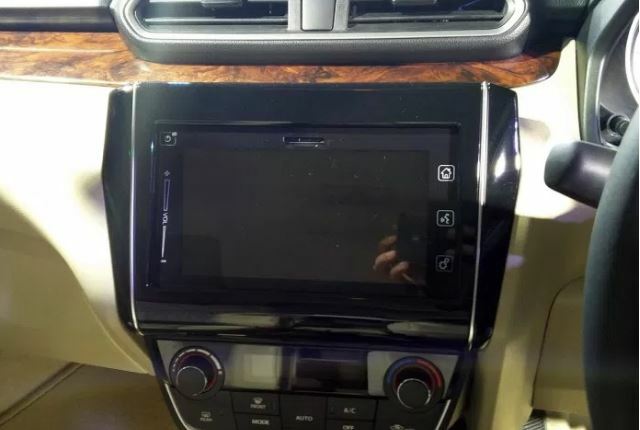 Dzire now gets a centrally mounted touchscreen unit with trapezoidal AC vents positioned above it. Even when it comes to climate control setup the Dzire is different from the new Swift. The centre console is slightly angled towards the driver. There is also a new twin-pod instrument console on offer. The sporty flat bottom steering wheel is also new to the India spec model. The new Maruti Dzire 2017 gets a 1.2 L Petrol engine that makes 84 PS of power and 115 Nm of torque. 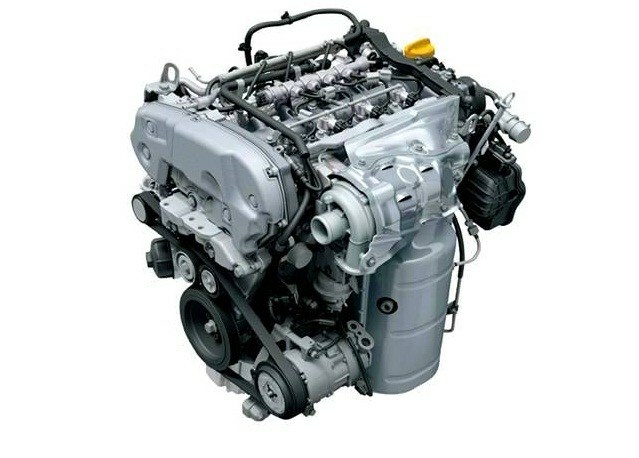 The Diesel variants continue to draw power from the 1.3 L Fiat-sourced Multijet engine. Unlike the previous generation Dzire, the new Dzire features a 5-speed AMT on both the petrol and diesel variants. AMT is available in the Dzire second trim onwards.As mentioned in our previous post, the new Dzire is based on Suzuki’s HEARTEC platform. This is the reason it is lighter than before, which should definitely help increase fuel efficiency. 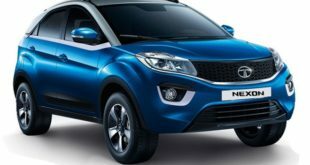 Hope you found this post on the new 2017 Maruti Dzire informative as well as interesting. Do leave your questions and your views in the comments section below. Stay tuned to India Autoz (indiaautoz.in) for more such articles.